The opportunity to interview the fine folks at NICALiS recently came up, and I jumped at the chance! The following interview took place between myself and Tyrone Rodriguez regarding Grinsia for the 3DS. Josh: Why bring it to 3DS? Are extra features part of the appeal, such as 3D effects? Tyrone: I grew up playing NES and SNES so I have very fond memories of classic Japanese RPGs. My favorite RPG on the SNES is still probably Final Fantasy IV. When I first played Grinsia on iOS, I enjoyed it, but thought [it] would be a lot more fun to play a classic-style 16-bit RPG on the 3DS. I also saw an opportunity to tighten up the dialogue and replace the MIDI music with a soundtrack more true to the SNES time period. With top-down games, it can be more challenging to do 3D effects, but we’ve tried to include them where it makes sense for Grinsia. And where it makes sense is peripherally, such as menus and pop-ups. I didn’t want the 3D effect to be so extreme that it would detract from the game or distract the player. J: Any new gameplay features? T: The biggest changes we’ve made from the iOS version are the improved in-game dialogue. We hired the same production/editing team that has worked on various NIS RPGs and is responsible for Disgaea and all their other wacky-awesome games. It’s gone a long way to really make Grinsia feel more real and a much better overall experience. I also mentioned the soundtrack, we contacted Shannon Mason, who is an incredibly talented musician. She was able to work well under [our] direction and hit the sound I was hoping to get in Grinsia. I’ve been happy with the end result. Another recent KEMCO game that was localized. J: For Mystic Chronicles (a.k.a. Fantasy Chronicle) and End of Serenity (a.k.a. End of Aspiration), KEMCO turned to Natsume. Why did they turn to you for Grinsia? T: We actually approached KEMCO–I’ve been a fan of the company for many years and really enjoyed Grinsia’s art style and general aesthetic. We’re in a unique situation where we can internally develop and port games that we’re publishing and I think that may be interesting to companies like KEMCO. J: If Grinsia 3DS does well, what other KEMCO games would you like to port? T: KEMCO has a big library in the RPG genre. If Grinsia does well, I’d be happy to work with KEMCO on another RPG, but I like to play a game thoroughly before making a decision like that. Also, I’d be interested to hear what Rainfall fans and readers would like to see from KEMCO on 3DS or elsewhere. J: Do you find portable consoles to be more or less viable than mobile phone games? T: As a player, I find portable consoles significantly more interesting than mobile phone games. I don’t want to play ANYTHING on my phone. I use it to make phone calls, check email or text message–sometimes I’ll watch Netflix, but generally the phone, to me, is like a computer and I use it for work. I’d rather play my games on a real game console, portable or not. If you want to talk financially or from a business sense, I still don’t find mobile phones that enticing or interesting. The market is so different, the players are different and don’t necessarily appreciate or want the same thing that I do. J: On your site it says “Trust us, you don’t want to make games on old dumb phones.” What appeals to you most about console gaming? T: It’s my personal love for consoles, that’s it. My brother and I played everything from the Atari 800, 2600 until now, and console games have always been most interesting to me. I don’t want to play games on PC–I know they’re great and it’s awesome, but I work on a computer all day and just want to load a disc or start up a file and play. Also, I hate Windows, my work PC is a Mac, I dual boot for any development tools that I have to use or internal game builds I need to check out. 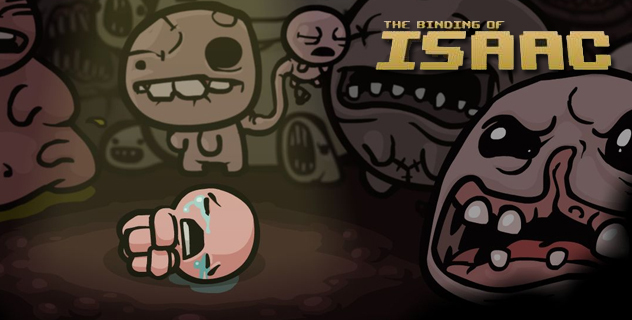 J: Any chance of an eventual 3DS version of The Binding of Isaac? T: There’s always a chance and I’m [a] persistent guy. I’m a giant Nintendo fan and want to bring cool games to Nintendo’s console. Isaac is one of those games and I have hope that Nintendo knows its fans and how to give them what they want. J: Do you think there is a market for mature games on Nintendo consoles? T: That really depends. Yes and no. I feel there are enough Nintendo fans who will consider and play a mature game, but are there enough for developers and publishers to drop a ton of money down? It’s difficult to say and it’s all relative, but if a developer can produce a great game that’s fun to play, I feel like players will play it, regardless of the rating or subject matter. Of course, with Nintendo consoles, it’s very likely that more parents buy these consoles for younger players. So as a developer, we should keep that in mind. J: Do you think retro styled games are more or less relevant nowadays? Does the ease of digital distribution contribute to this? T: Retro-styled games are only relevant so as long as players continue to support the developers who choose an retro artstyle, aesthetic or theme. 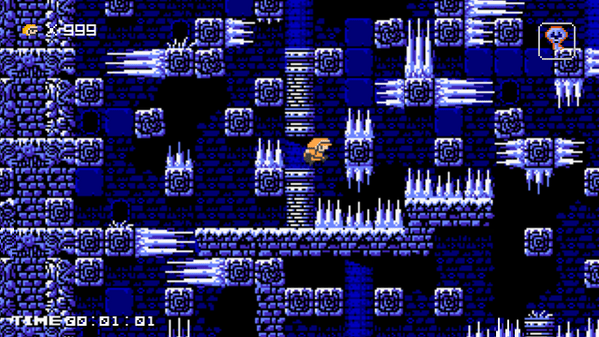 8-bit, 16-bit, it all may not mean a lot to younger players who grew up on PS2 or even PS3. But for me, I’m 37 this year and I’m very particular about what retro means. It’s definitely an artstyle now. It’s not a technical limitation like it was in the ’80s and ’90s so it’s very important for developers to understand this and be aware that not every player may want to see or play this kind of game. However, I do find that retro-styled games tend to be more pure video game experiences in that they can very directly communicate what kind of game they are. As far as digital distribution and the ease of retro, it’s related, but not exactly how you may think. As I said, in the ’80s and ’90s it was a technical limitation, but, in my opinion, I think a lot of developers take the easy way out when it comes to art by doing pixel art. That’s not a bad thing in [and] of itself, but if you go that route, pixel art and a retro aesthetic should be a deliberate design and art choice, not just because it’s the easiest way out and you can’t draw. I can’t stress how important that concept really is. J: Any other things you want to tell us about? A particular upcoming game we should be excited about? T: Our fans allow us to make the games we’re making and we’ll continue to support Nintendo consoles because we love playing on Nintendo consoles. But I’ve also come to understand that, as a developer–as a publisher, we can’t punish players who may not own a Nintendo console. Games deserve to be played by everyone and we don’t want to exclude anyone, and that’s the reason why you’re going to see more of our games like 1001 Spikes on PlayStation, Xbox One or even Steam. Also, for everyone reading this far, thanks for being awesome. In closing, I wanted to thank the NICALiS team in general, and Tyrone in particular, for the great opportunity! We love our retro/indie games, and appreciate those who keep them alive today. Feel free to chime in below about what you think about the state of gaming today and even let Tyrone know what other KEMCO games you’d like to see NICALiS do. Also, be sure to check out our Grinsia review by Guy Rainey.